Dorothy: Toto, I've a feeling we're not in Kansas any more. Toto: Well, we are, you stupid bint! Look at the bloody road signs! Of course, with Toto being a dog an' evryfink, this came out as an attempt to say "Woof woof sausages" instead. It was effing freezing this morning, though some at Battle Mountain had been colder. Unlike at BM, though, it scarcely got any warmer throughout. Top temperature was a paltry 18 degrees so the top stayed up. I-70 through Wyoming was much the same as yesterday though there were some proper mountains to be seen to the south. Right onto I-25 south to Denver, then I-270 to cut the corner; then I-70 all the way here. I may have commented on the scenery of eastern Colorado before. 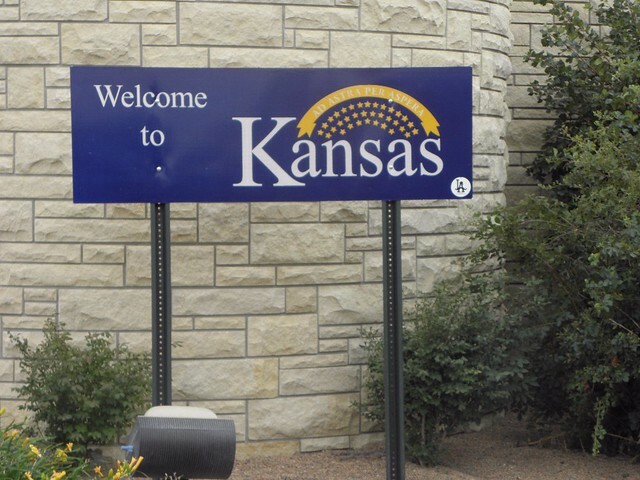 Kansas is the same only flatter. I've been watching too many episodes of "Texas Car Wars". 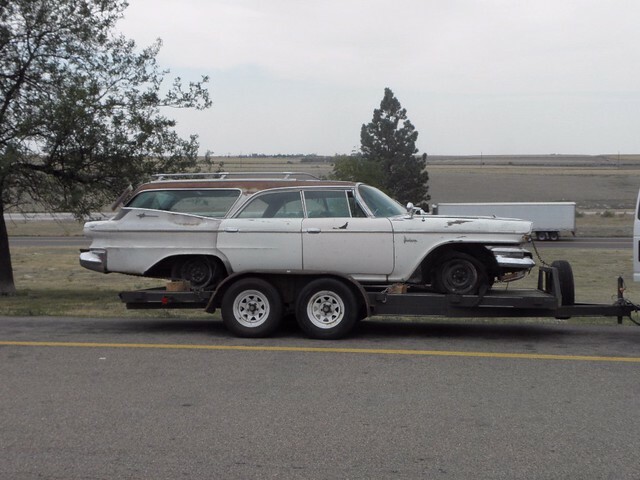 A rather down-at-heel 1960 Dodge Polara station wagon spotted in an I-70 rest area. Hays KS is well-known to recumbent cyclists as being the home of RANS, manufacturers of such machines as the V-Rex, the Stratus and the Screamer tandem. No-one else has ever heard of the place. And guess where we go tomorrow, kiddywinks?